The Underbase Online: For the love of beasts! For the love of beasts! 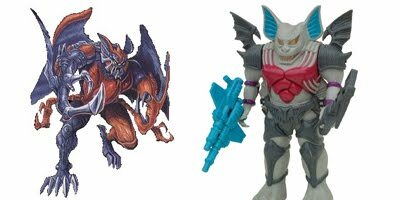 There's no doubt that Hasbro has really pleased fans in the past few years by re-imagining many classic characters across it's various lines. We've gotten all manner of cars, jets and tanks, but there's been one glaring omission. 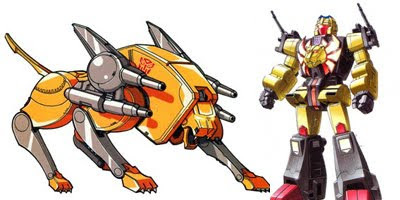 What I loved about the original G1 series was the variety of forms that the Transformers took, especially the animals, monsters and beasts. 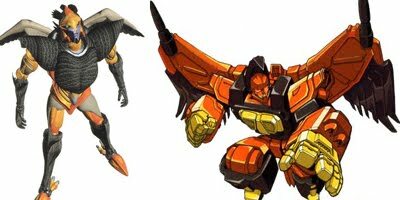 Sure, we've had a Grimlock or Blackarachnia here and there, but there are so many more choices out there. 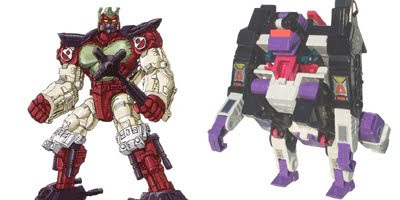 Here are my suggestions if Hasbro sees fit to delve further into the world of the "primitives" for future robots in disguise. Each of my selections includes a good and bad character to enable Hasbro's trend of using each mold at least twice. I'm pulling my choices from both G1 and the Beast era. We've seen Soundwave's cassettes get upgrades, but not Blaster's. Let's start it off with Steeljaw, repainted as Predacon leader Razorclaw. 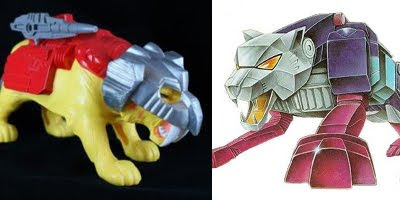 Razorclaw became a Botcon repaint, but I think a general release figure is on order. Well, if we're updating Steeljaw, we might as well take care of his partner, Ramhorn. 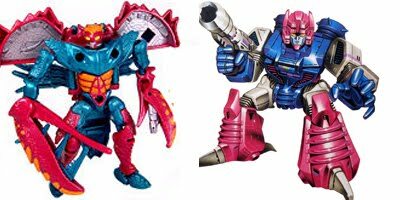 Predacon Headstrong is the obvious choice for the repaint, but Pretender Stranglehold might make a good Botcon character. 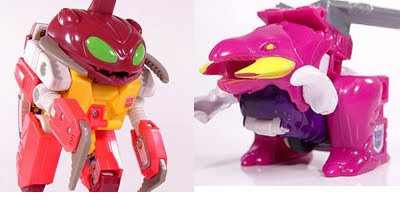 Apeling was an interesting Botcon character who deserves some wide release exposure. Plus, we need a good monkey who's name doesn't end in "Primal". My repaint choice is Apeface who appeared previously with the unwieldy descriptive "Decepticon Headmaster Horrorcon". I always loved the Monsterbots, so I'd like to see them get updated. Repugnus has been the subject of a couple of previous repaints, but let's get him a new mold. The Firecon, Sparkstalker, is my repaint choice. Since sparks have become such an integral part of Transformers mythos since G1, Sparkstalker's name can take on a whole new meaning. (Or, would you prefer Crabs?) My first choice here is for the Rockbuster as this mold was known in Beast Wars Neo. The US release was called Razorclaw which is in use above. My Decepticon repaint choice is the Headmaster Squeezeplay. Ratbat and Mindwipe have both gotten vehicle mode releases in recent years, so let's go with some other bat choices. Sonar the Maximal is my first choice as she got a raw deal back in the Botcon Wreckers comics. Bomb-Burst is my second choice to pay homage to his vampiric looking Pretender shell. 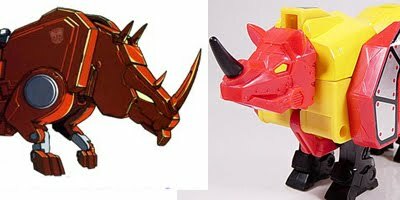 Maximal Longhorn gets the nod here since he was one of my favorite basic sized Beast Machines Maximals. 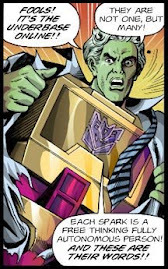 Again, I'll forego the obvious choice of Predacon Tantrum and choose Headmaster Horri-Bull. Always had a fondness for that goofy name. Dragons of the two-headed variety, that is. Monsterbot Doublecross is my Autobot choice, with Terrorcon leader Hun-Gurr as my Decepticon choice. These guys are two of my most favorite G1 characters. 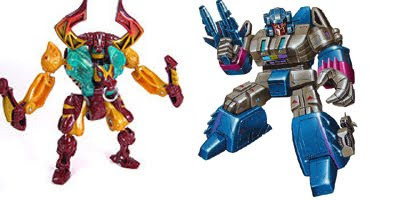 Well, these two characters really aren't the same type of insect, so somebody will have to concede an alt-mode here. 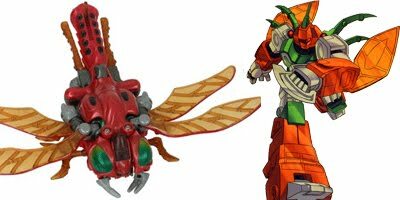 Tonbot, the Cybertron dragonfly from Beast Wars II and Venom, the deluxe cicada Insecticon. I suppose it will have to be "Insecticon Venom" or something due to current trademarks. Again we have a slight difference in original alt-modes, but we can make this work. 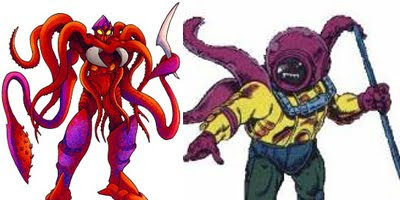 Claw Jaw (or Scuba, if you prefer) representing the Maximals, and Octopunch the Decepticon Pretender. Bonus convention repaint can be the Seacon, Tentakil. No, not those pesky dinosaurs that can open doors. I'm talking about birds of prey. Let's have a new Airazor with a repaint as Divebomb. Runners-up would be Buzzsaw, Laserbeak, Squawktalk, Wingspan, Birdbrain or whatever other bad bird you can think of. 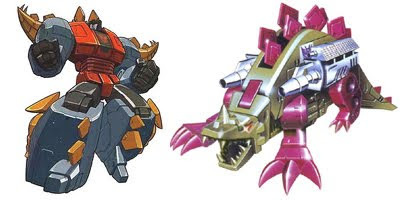 Grimlock gets a lot of love, and Swoop and (Slag, insert current name here) as well, but how about Snarl? (the original Snarl, not Slag or a wolf or a Tasmanian Devil or anything) I'd like a new stegosaur Snarl, and just as Overkill was repainted from Grimlock, we can get Slugfest. 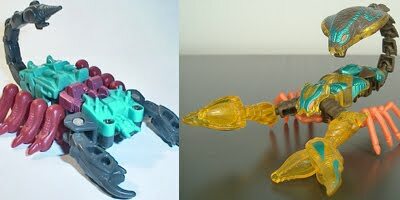 Anybody remember Pincher? He was a humanoid Autobot Pretender with and inner robot that transformed into a scorpion. 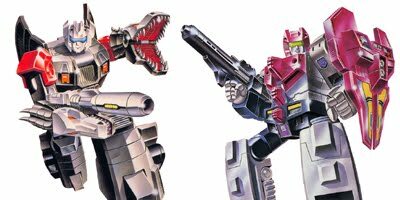 Bring back that bit of obscurity and have a repaint of everybody's favorite redneck Predacon, Quickstrike (sans the snake tail, of course). Let's end with some sea predators. 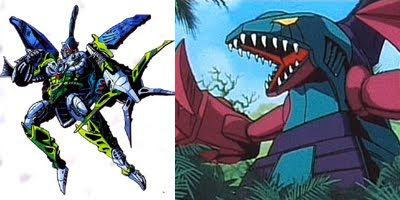 Cybershark is my choice for the good guy, while Seacon Overbite gets the repaint. I have more ideas, but I think I've given Hasbro enough ideas for at least a couple of waves. Get to it!